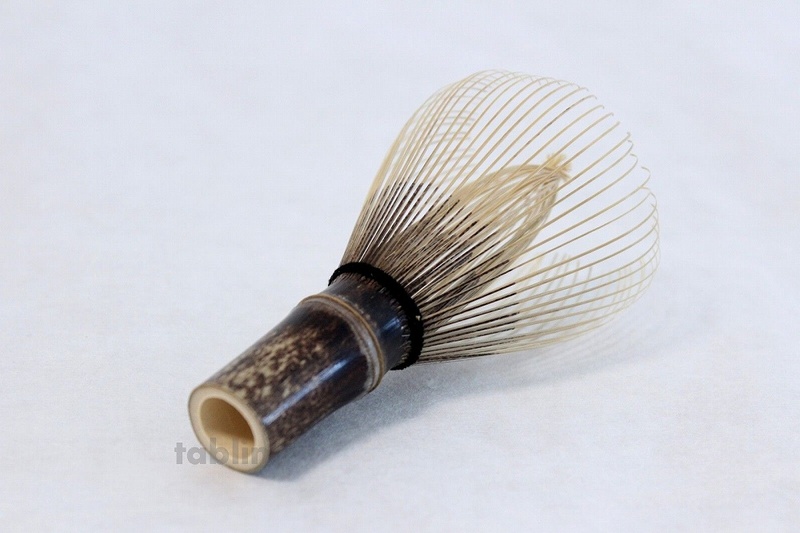 Chasen (tea whisk) is used in Japanese tea ceremony to mix hot water and matcha. 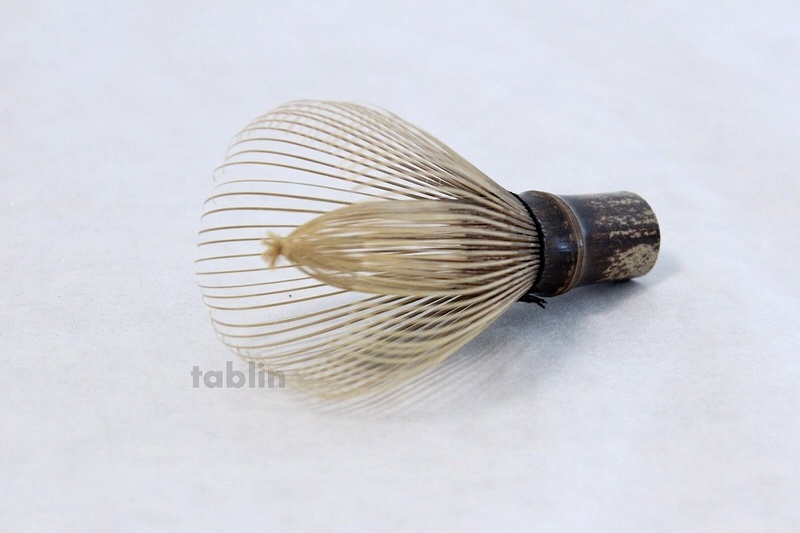 Takayama Tea Whisks by Mr. Yasaburo Tanimura of Suikaen: A traditional art handed down unchanged for the past five hundred years and made with the spirit of crafting things without compromise. With regards to bamboo which is the raw material for tea whisks, winter is the only time when insects don’t approach the bamboo and when their strength is at its peak so they are only felled during this time. After removing the oils by boiling the bamboo in a pot, they are left to dry under the gentle rays of the winter sun. 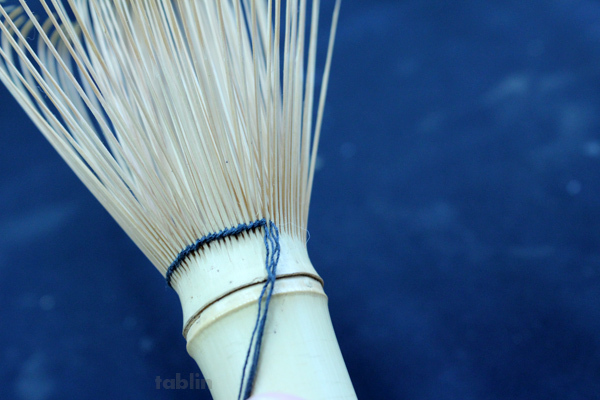 They are then stored for 2-3 years and only good-quality bamboo is used in making tea whisks and tea ladles. 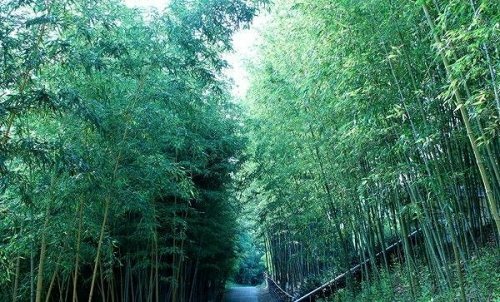 *Harvesting bamboo is only conducted in Takayama or in neighboring bamboo forests. By taking years to process the materials, unsuitable bamboo crack, or change color with the passing of time, so only good-quality materials naturally rise above the rest. The movie of making Japanese bamboo tea spoon Yasaburo Tanimura Suikaen. 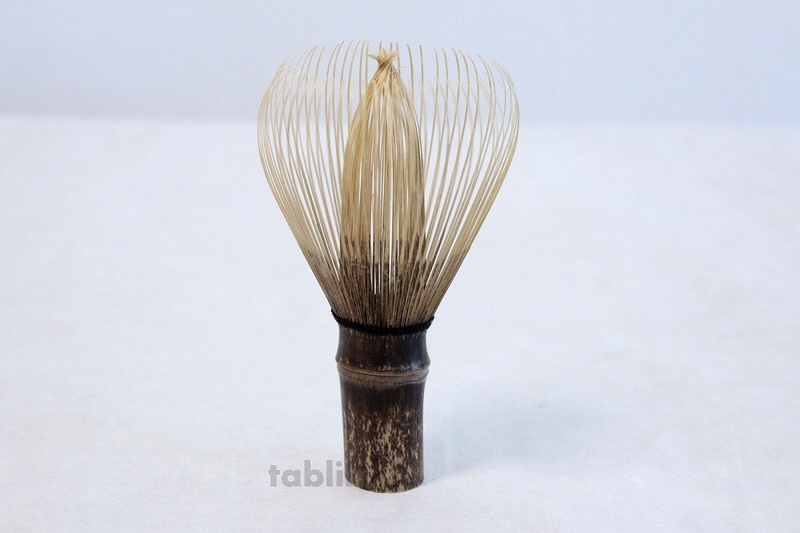 Bamboo that has been stored are peeled, and after being divided into sixteen parts with a knife; and depending on the type of tea whisk; the bamboo are finely shaved further, and are shaped and turned into finished products. *The left side is raw bamboo, and the finished product is on the right. Each step of the process is divided among craftsmen, and here at Suikaen there are ten artisans who complete the tea whisks through their handiwork. The tines are steeped in hot water, and are then shaved thinner and thinner up until the tips are formed. The tines are then shaped so that the inner parts become rounded. I also tried my hand at the process called “uwa ami.” This is the stage wherein thread is woven into each of the tines near the base of the whisk; a rather delicate and astounding task. Arranging the tines of the whisk, then finishing off by adjusting its shape. These traditional techniques manipulate the material into something with the thickness of paper. It not only gives a fine, smooth foaming of tea but it also has durability and a unique texture - a tool of high quality. 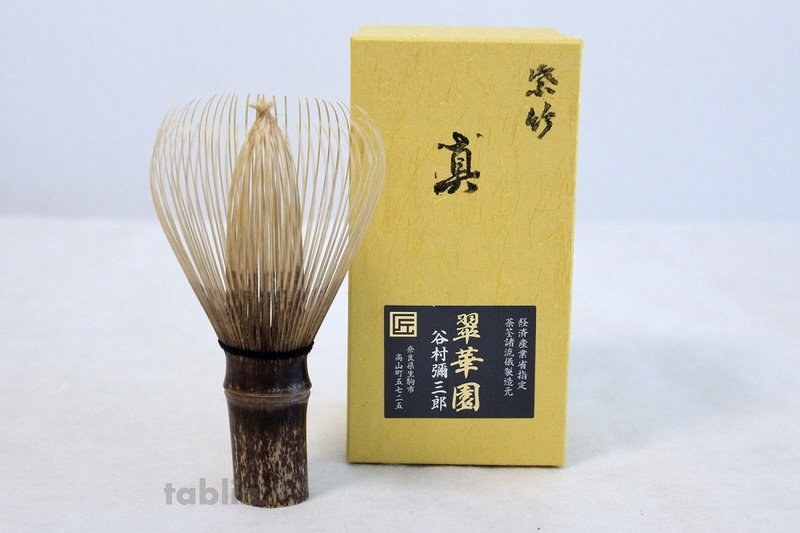 Today, aside from industrial products, Japanese traditional products are manufactured and distributed abroad; but there are still a lot of things that can only be obtained in certain areas, just like Takayama tea whisks - a traditional art continuously handed down and made with the spirit of crafting things without compromise. A tool that is also a traditional art, and the appeal of merit such as the history and culture of a place is probably the reason why many people are attracted to it. 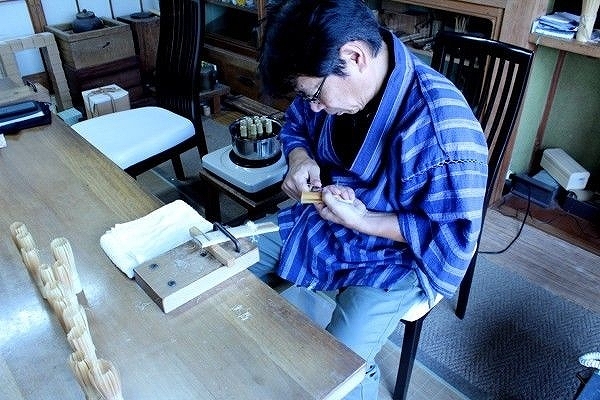 This is Mr. Yasaburo Tanimura, a traditional craftsman and the head of Suikaen. 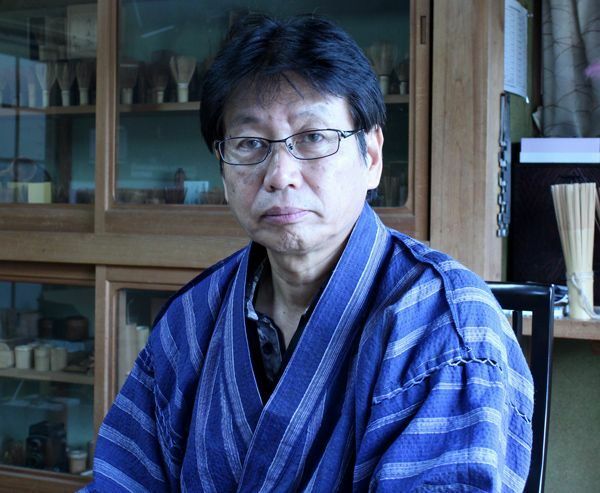 When he was 35 years old, his predecessor passed away at a young age, so he took over Suikaen and has continued preserving traditional techniques. Chasen for Japanese tea ceremony. Packaged in a box.